Me with Ivan & Radar.... you can see that none of us are used to being in front of the camera! So, what can I tell you about me? What do you even want to know? I'm not sure, but here's a quick peek at who I am and why/how I created this website. I'm a life-long dog lover and I've raised and trained dogs for close to fifty years. I started early with my first dog, a beautiful Sheltie pup who I named Honey. She was a typical collie, super smart and a little bit nervy. I took her to training classes myself and we even competed a few times. She was my first 'learner dog' but thankfully she seemed to thrive in that role and was the love of my life for many years. Fast forward from then to now and I've owned, raised, trained and loved puppies and dogs of all sizes, ages and breeds over the years. Rottweilers are a personal favorite and I raised six children with at least one Rottie in the house at all times. Most of my personal dogs have been medium to large breeds including German Shepherds, Cane Corso and, of course, Rottweilers. My grown children are now all dog owners themselves and our extended pack includes two Dachshunds, one English Bulldog, one Pitbull, one Staffordshire Bull Terrier, a German Shepherd, four mixed breed rescues and a Golden Retriever! Taking care of puppies and dogs properly takes time, patience, practice, research, energy, money, common sense... and of course always LOVE. Over the decades I have gained extensive personal experience in dog training, canine nutrition, dog health care, puppy development and all the everyday doggie topics such as potty training, socialization, communication and more. In addition to my experience and expertise, I have veterinary input on puppy and dog health information on my website. 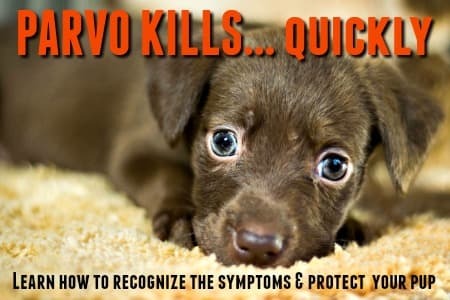 You'll find articles written by Dr. Megan Teiber DVM on certain pages, these are written exclusively for Fidosavvy and give you access to a veterinarians' viewpoint and knowledge. She also advises on health related content, keeping me up to date and accurate with the advice and information given. Dr. Teiber graduated from the University of Wisconsin-Madison with a B.S. in Zoology and a Doctorate in Veterinary Medicine. She has worked in the veterinary field for almost two decades and provides preventative, medical and surgical care for small animals as a practicing veterinarian in the Chicago area. Dogs are one of my life's passions, and all the years I've spent with them has given me a deep appreciation and love for their incredible hearts and an thorough understanding of how their minds work. 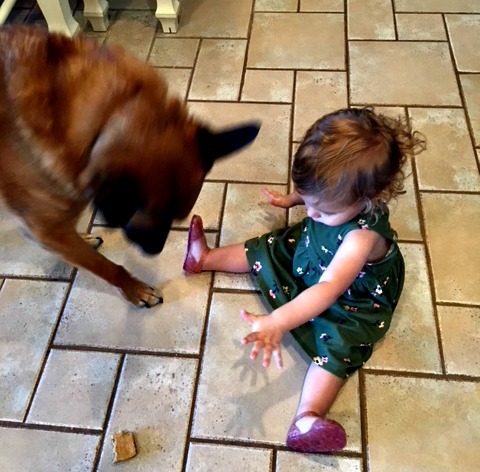 Radar and my granddaughter Lucy sharing a cookie! Adding a puppy (or dog) to your life is a huge commitment of time, effort, love and money. One thing I realized as the years went by is that many new owners have very little experience of dog care and often there are unrealistic expectations of both the puppy/dog, and themselves. 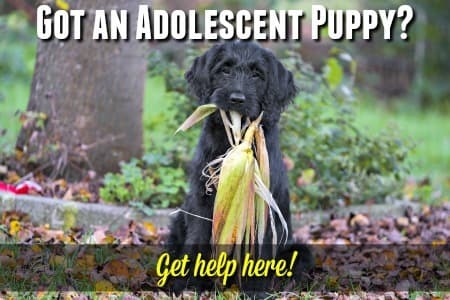 This can lead to problems, sometimes serious ones, and you might be surprised at how many times a dog is 'given up' on (maybe surrendered to a shelter, or condemned to live outdoors separated from their human family) because of issues which are avoidable and/or fixable with a little know-how and help. 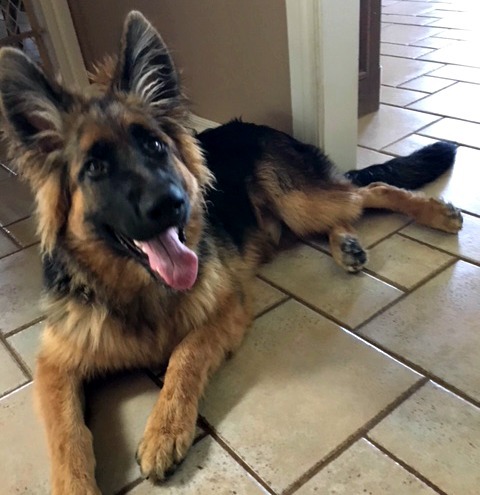 When I found myself in the position of needing some stay-at-home-mom income I found a way to use what I knew and loved in a way that helped dogs and their owners to experience the amazing love, joy, companionship, loyalty and trust that comes with a healthy dog:owner relationship... and build my own online business at the same time. With the internet in full swing twelve years ago I decided that creating a website that provided help, support, information, tips and advice to puppy and dog owners around the world would be a wonderful way to do just that. My lifelong experience in all areas of dog and puppy care is available on this site, free of charge, and it is a labor of love for me... a way to give back some of the blessings being a dog owner has brought me. Of course there are dog care topics (and specific sections of topics) that required additional research when creating articles on this site. Especially health related dog care topics, breed information and statistics, wide-reaching canine dietary information and so on. I am committing to providing all visitors to my site the very best, most up-to-date and accurate dog care information available. To back up my personal experience and knowledge, I conducted thorough research on a variety of dog and puppy care subjects using professional organizations, nationally recognized regulatory bodies, animal protection organizations, professional veterinary resources, accredited foundations and more. I know that I enjoy reading about other peoples lives, their journeys, experiences, families etc. Maybe, that's just me... but in case you feel the same way, here's a little look behind the scenes at my life and family. There's a real person behind this site and I'd like you to meet her! Although currently our family lives in the United States, I'm actually Scottish by birth (born in Glasgow Scotland), and have also lived in England and Canada. In fact, my eldest daughter was born in Ontario. 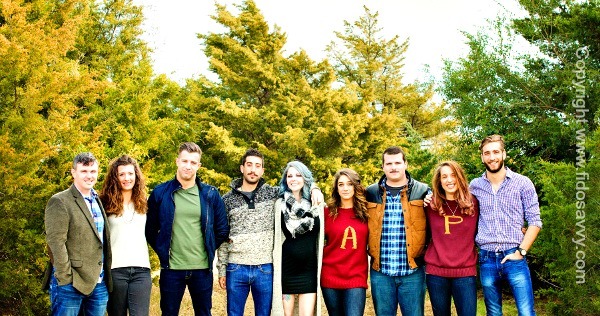 I have six grown children, three children-in-law and four grand-babies. All of whom keep me busy whenever I'm not at my desk. My favorite things to do in my spare time is to hang out with my children and grandchildren, take care of our beloved dogs and cats, read (totally eclectic taste in books! ), go to the movies... oh, and I LOVE chocolate!! Of course, I also absolutely love working on my websites (yes, I have more than one), it's simply a labor of love for me. Once I decided that I wanted to build a website, the research began. At that time I was NOT computer savvy at all, and it took a lot of research, and a few false starts, before I found Sitesell (Solo Build It!). Having been a stay-at-home mom for over 20 years, my workplace skills were pretty much non-existent, but I loved the idea of building my own business and focusing on a subject that I loved and was knowlegeable about. 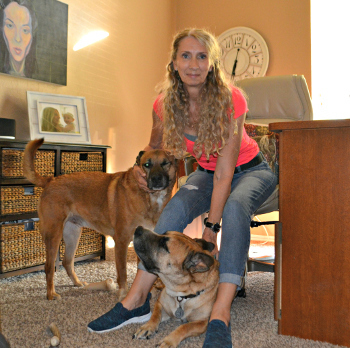 Every morning I sit down in my home-office and I spend my days helping other dog lovers take better care of their four-legged best friends. Nothing feels better than knowing that what I do has helped someone... and their puppy/dog. When I get an email saying "thanks..." it makes my day. I really hope you've enjoyed your time here, and that now you know the person behind the pages perhaps you'll come back and see me again soon. Until we meet again... enjoy your puppy or dog and make sure he/she knows just how much you love them, every day. YOU Can Build Your Own Website Too! We all have hobbies, skills, passions and knowledge and if you'd like to share yours with the world, and earn money doing something you truly enjoy.. then why not join in? Check out my SBI! Review which tells you about my website and e-biz building experience and why Solo Build It! is the all-around best choice for anyone who wants to build a website which isn't just nice to look at, but which gets plenty of visitors too.